A personal and highly original take on the history of six commercial plants, Seeds of Change illuminates how sugar, tea, cotton, the potato, quinine, and the cocoa plant have shaped our past. In this fascinating account, the impassioned Henry Hobhouse explains the consequences of these plants with attention-grabbing historical moments. While most records of history focus on human influence, Hobhouse emphasizes how plants too are a central and influential factor in the historical process. 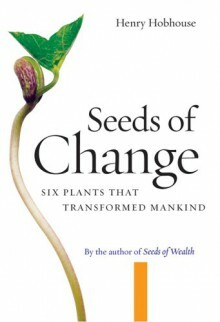 Seeds of Change is a captivating and invaluable addition to our understanding of modern culture.